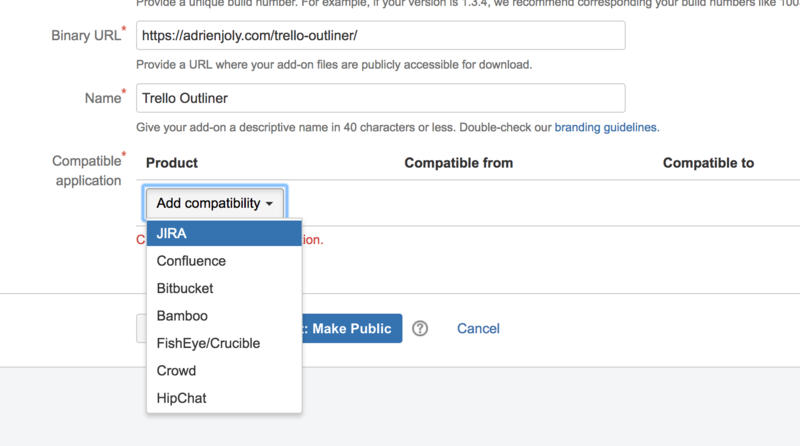 => How can I publish my Trello Power-up to Atlassian Marketplace? Hey Adrien, It looks like that is the form for submitting to the Atlassian Marketplace. You need only to submit your Power-Up to review for Trello via developers.trello.com/submit-your-app. You will then also want to submit your Power-Up to the actual Codegeist page: https://codegeist.devpost.com/. Once you login on that page you should see a button in the top right of the page that says, "Enter a submission." Awesome! Thanks for the info, Bentley!